I introduced an amendment to H.R. 1339 during the bill’s markup in the Oversight and Government Reform Committee today to protect army depots throughout the country, including the Corpus Christi Army Depot. H.R. 1339, the Freedom from Government Competition Act of 2018 would require the federal government to analyze whether it would be more cost effective for some projects to be done by government contractors. While I supports saving the federal government money, this legislation could cause unintended consequences to military depots and armories. My amendment to H.R. 1339 would exempt the Department of Defense civilian employees at a depot or armory from this periodic public-private sourcing analysis. 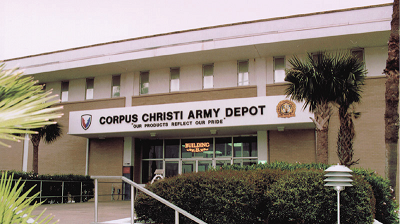 More than 3,600 civilian employees work at the Corpus Christi Army Depot, which is one of the most productive depots in the country. These hardworking men and women repair and upgrade our helicopters for much less than it would cost to buy a new one. The amendment I introduced today would help protect these jobs that are vital to the Corpus Christi area I represent. This bill was pulled from debate before my amendment was voted on and will be postponed until a later date, likely including my language. During today’s markup, the Committee also marked up and approved two of my bills: H.R. 2946, the Federal Customer Experience Act of 2018 and H.R. 5253, the Office of Government Information Services Empowerment Act of 2018. H.R. 2846 would require certain agencies and programs to solicit voluntary customer service feedback. H.R. 5253 would ensure that the Office of Government Information Services (OGIS) has access to the necessary records to conduct its statutorily-required Freedom of Information Act compliance reviews. The Oversight and Government Reform Committee passed both of these bills.